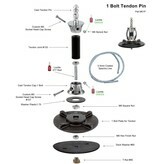 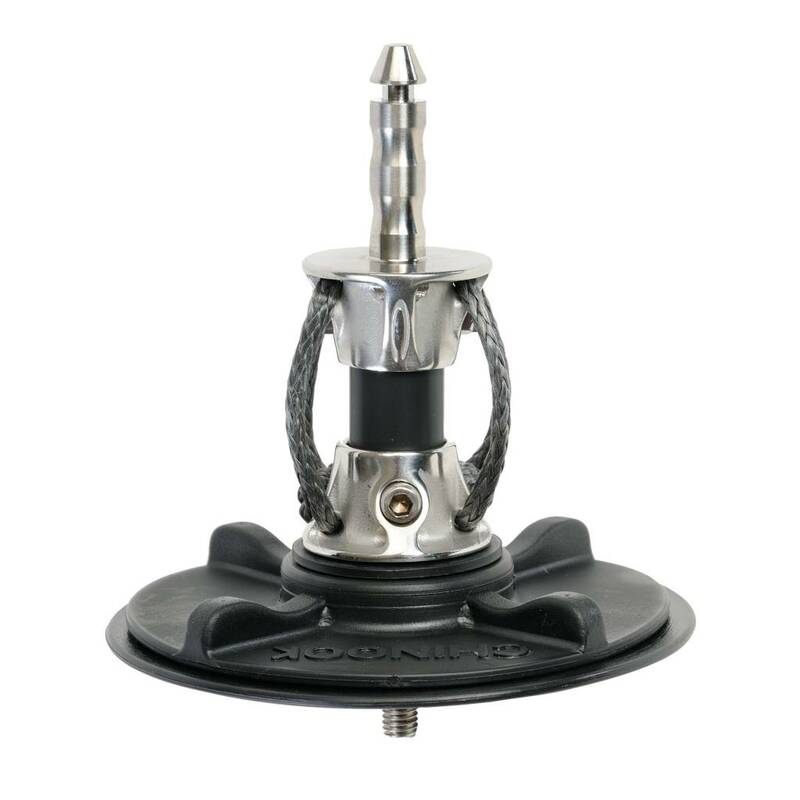 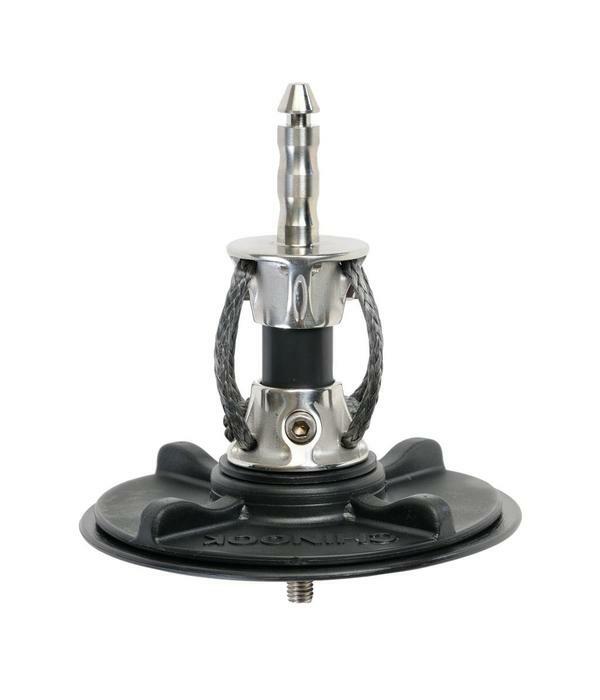 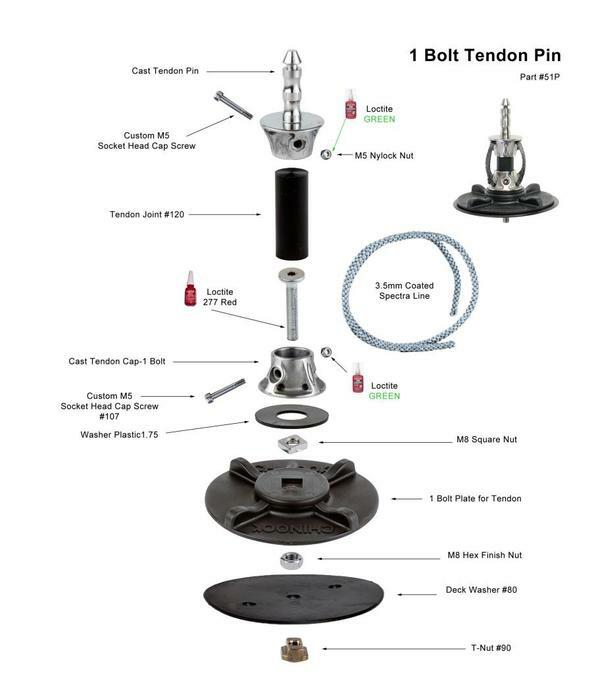 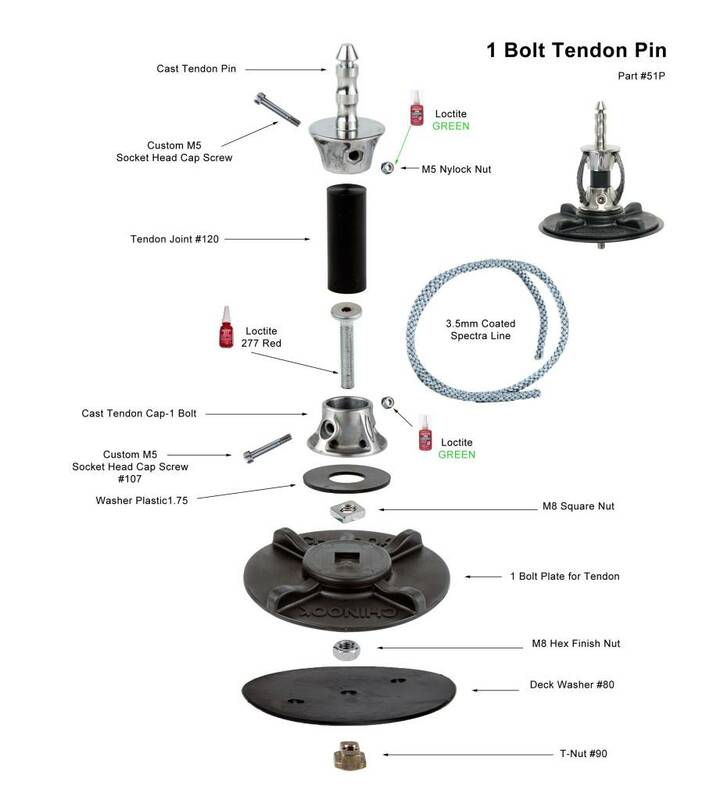 One-Bolt Twist On Mast Base with Tendon Universal and Euro-Pin. 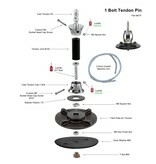 Tendon joint provides excellent performance and is easy to replace. Includes four finger grooves for easy tightening and safety line backup. 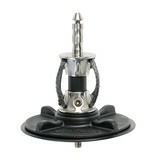 On Center positioning.